AGRIFEED is a leading company in the production and distribution of quality food for animals and pets in the Dominican Republic and the Caribbean. The company first began in 1977 with another name and with origins that date back 70 years ago when Washer Industries was founded. Due to the growing demand within the pet industry, the company is now more targeted to the pet food sector in which the products of AGRIFEED enjoy great acceptance. Being the only food factory in the pet food sector of the Caribbean and with about 230 employees between their operational and administrative departments, the thought of an ambitious project to limit and control access in different areas of the production plant soon dawned upon AGRIFEED. With this in mind, AGRIFEED decided to entrust FingerTec’s authorized Distributor in the Dominican Republic, E. THREAN & Company with its Access Control, Time Attendance and Fire Detection project. 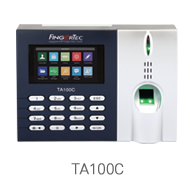 Therefore, AGRIFEED now deploys numerous FingerTec products in their company’s premises such as i-Kadex, Face ID 4, TA100C and Ingressus Controllers. This level of comprehensive setup allows AGRIFEED to thoroughly manage its staff entries within the facilities all without ruling out its security aspect. 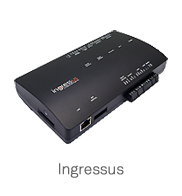 What’s more, FingerTec products are also designed with the idea of user convenience at the forefront. For example, Face ID 4 and TA100C each features the capability to verify through facial recognition and fingerprint scanning respectively thus enabling the company to free up valuable time resources for other crucial operations. AGRIFEED is also utilizing FingerTec’s powerful Ingress Software in handling all of the installed devices, which further makes tasks like centralizing, managing and monitoring of access a breeze since Ingress supports all standalone FingerTec access control models.